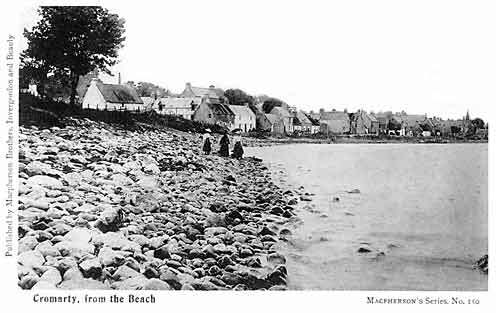 This postcard is from a series made by McPherson Brothers of Invergordon and Beauly and shows an eastern view of Cromarty from the beach - 1920?? It clearly shows the stone sea defences mentioned by Hugh Miller as well as a number of cottages on Shore St which no longer exist. If you can pin-point the year please let us know.